The University of St Andrews has received ESRC funding to develop its SafePod network, allowing secure remote access to data centres around the UK. Currently, access to datasets at data centres requires travel to an approved ‘safe setting’ provided by a Data Centre. A SafePod network would mean that eligible organisations, such as universities, could apply for their own SafePod, allowing researchers to access datasets from their home institution. 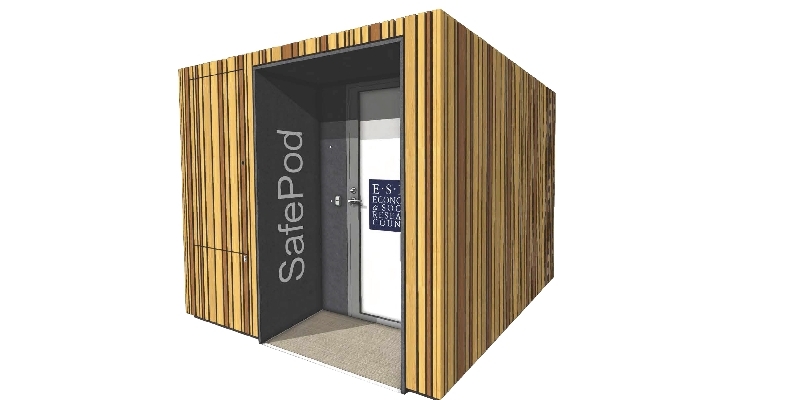 The pods have been designed and developed at the University of St Andrews, and replicate a traditional safe setting. Each pod includes security features such as a door control access system, CCTV camera, and secure storage areas for IT hardware and equipment. No actual datasets are held within the SafePod, rather it uses a secure connection to access a data centre remotely. The major benefit of a SafePod to a researcher is that they will be able to have local remote access to project datasets, without the need for long-distance travel to a dedicated safe setting provided by a data centre. SafePods are a low-cost platform, and are compact in size to allow placement in organisations which may be low on space.